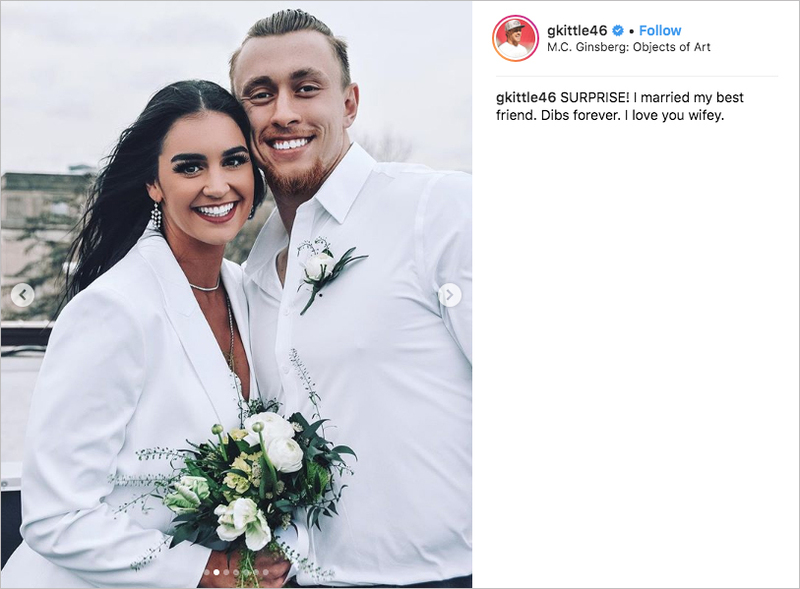 Home > Celebrity Style > George Kittle from the San Francisco 49ers Got Married! 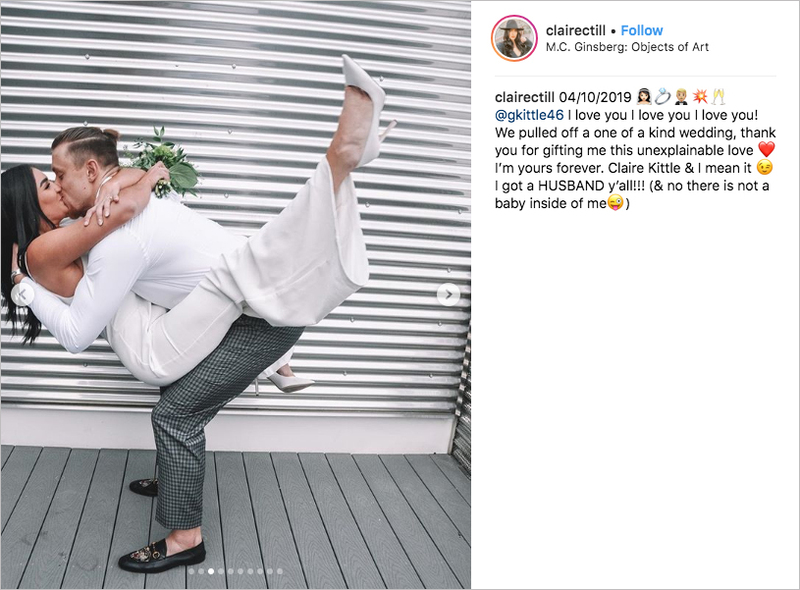 See his wife Claire Till's stunning jumpsuit! 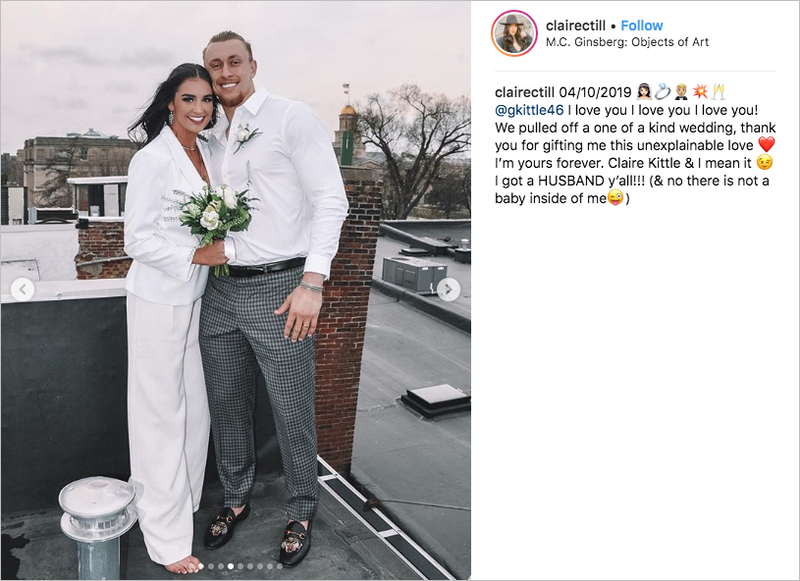 Football season may be over, but San Francisco 49ers tight end George Kittle scored a win during the off-season – he married his longtime girlfriend Claire Till! 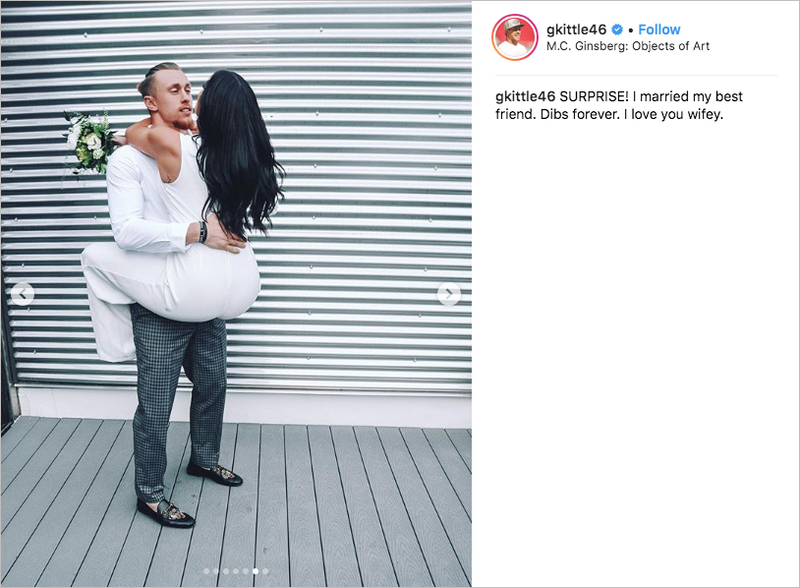 The NFL star proposed to his sweetheart on the beach in Santa Cruz, California last August. 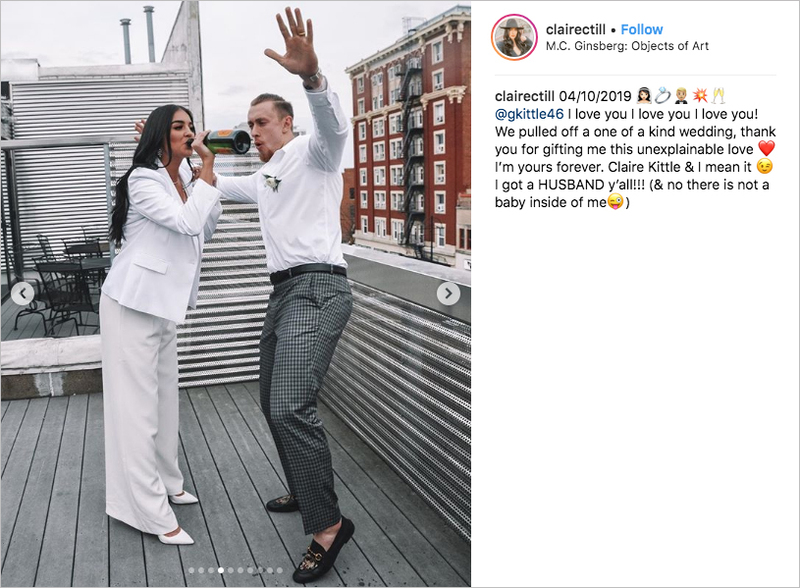 Claire wore a wide-legged jumpsuit while he popped the question, which wound up tying in with her eventual wedding-day ensemble. 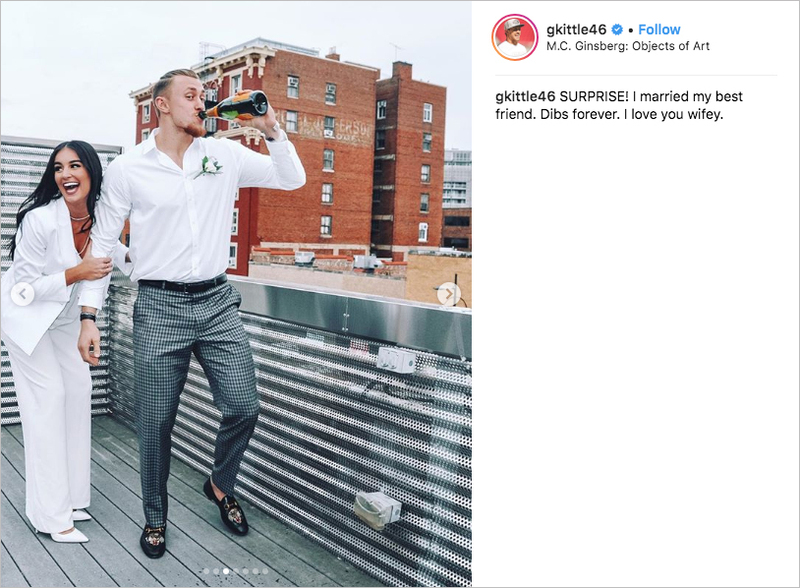 According to the bride’s Instagram account, the couple had an engagement party in their home state of Iowa in January. 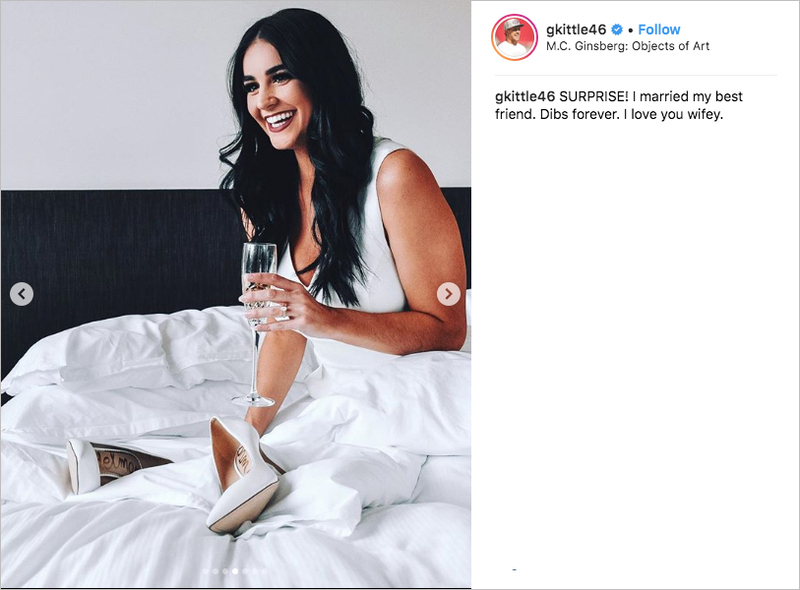 This may have been a way to celebrate with friends and family, as it appears the couple decided to elope! 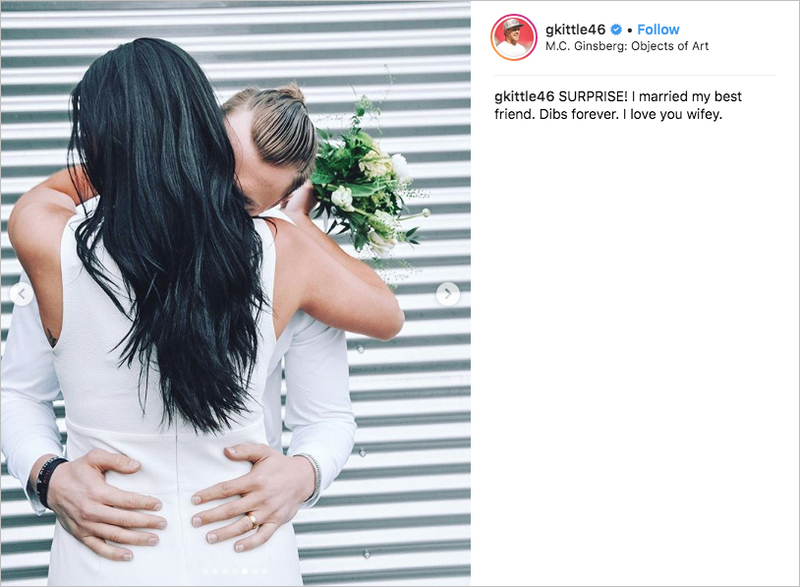 Both bride and groom shared numerous photos from their big day, but not a guest in sight. 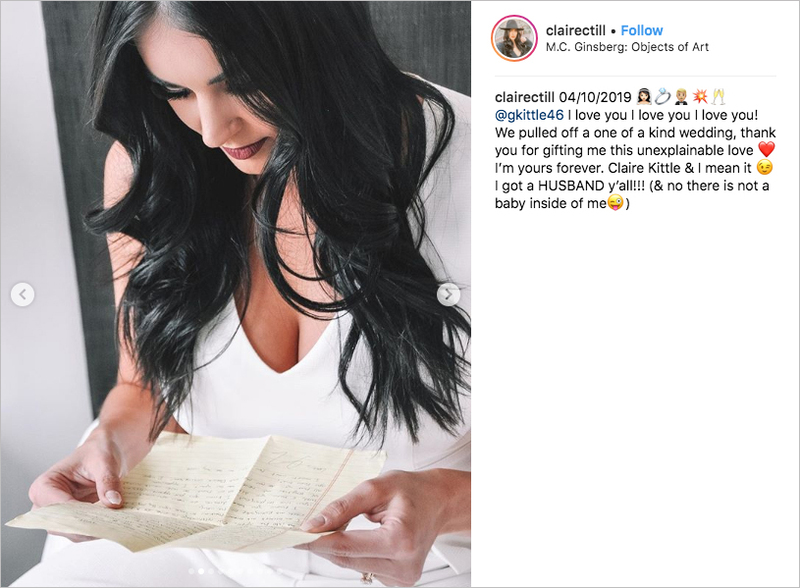 George wore checkered grey pants and a white dress shirt, while Claire was chic in a perfectly tailored jumpsuit and matching blazer. 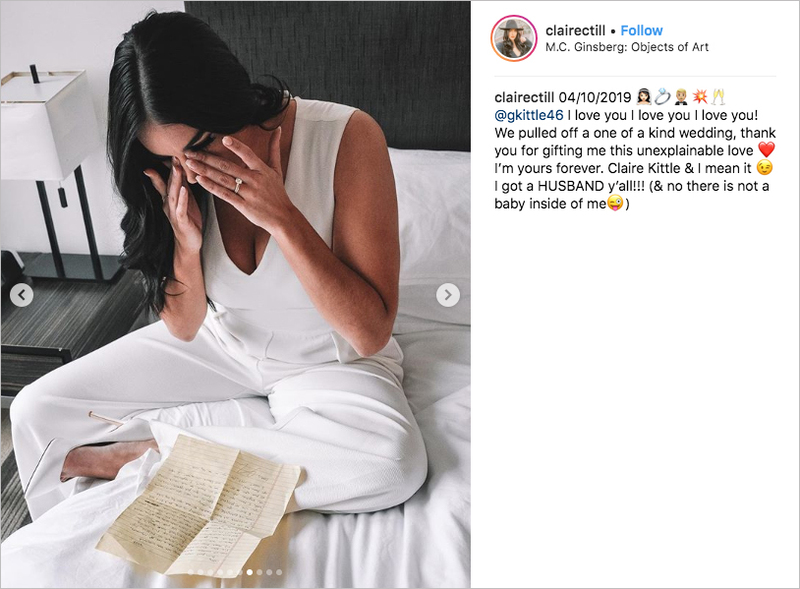 There is a registry from Anthropologie baring the couples’ names… and a wedding date of March 27, 2020. 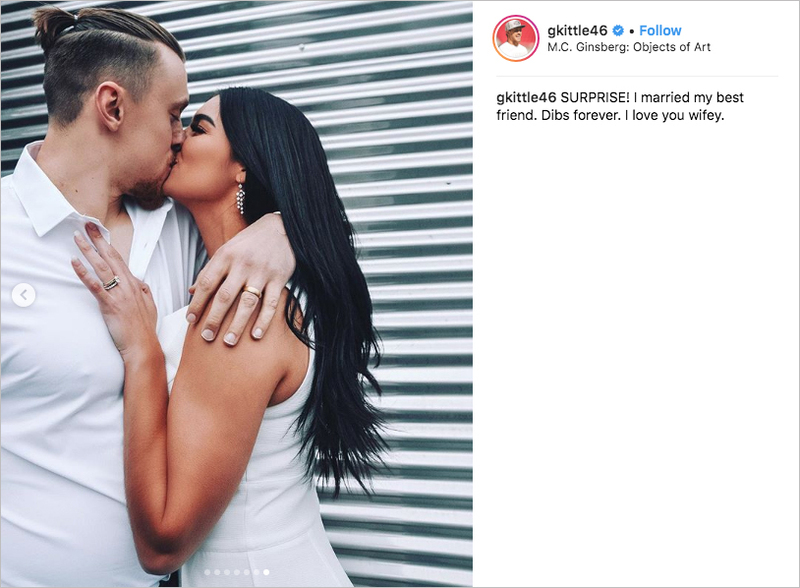 It seems the lovebirds just couldn’t stand not being married anymore! 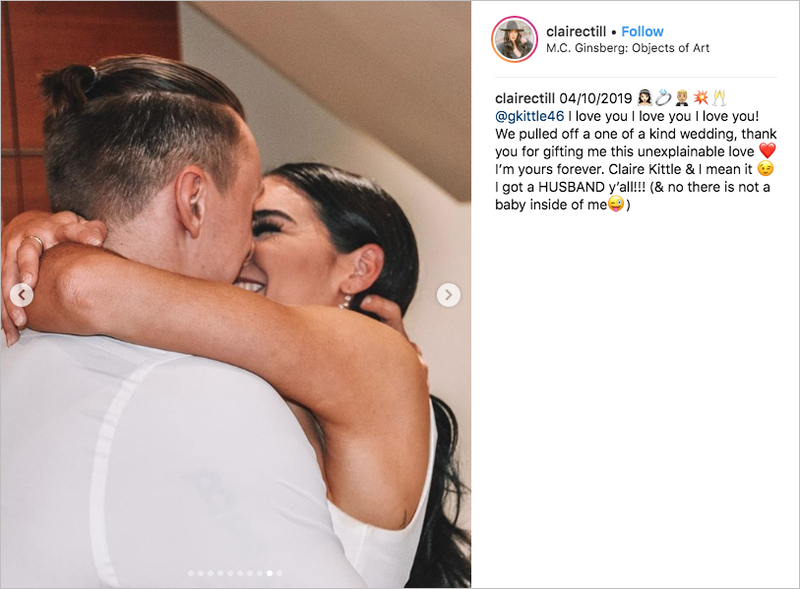 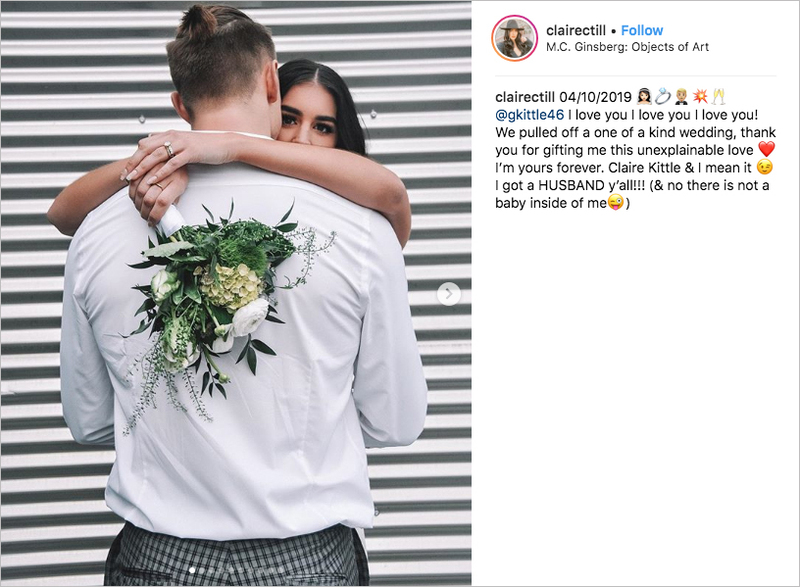 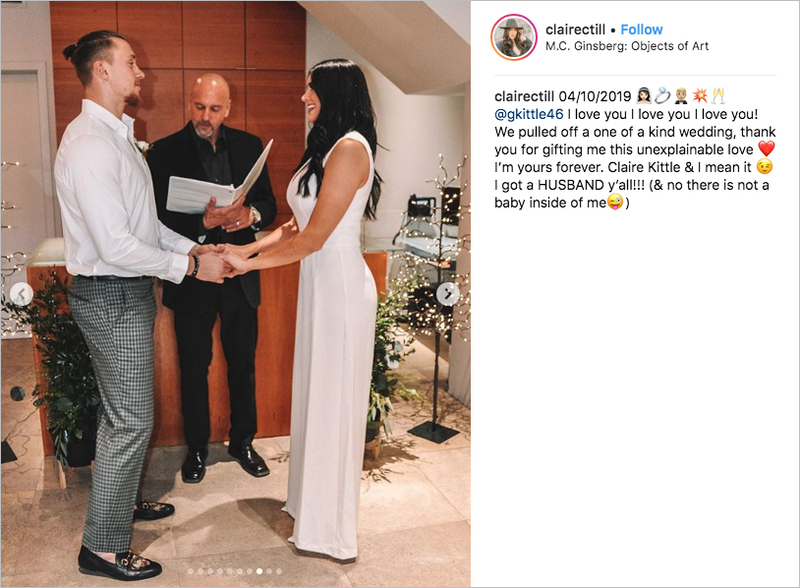 Further alluding to the idea that the couple eloped, Claire’s Instagram caption ends with a playful assertion that she is not pregnant – something often suspected when weddings are moved up. 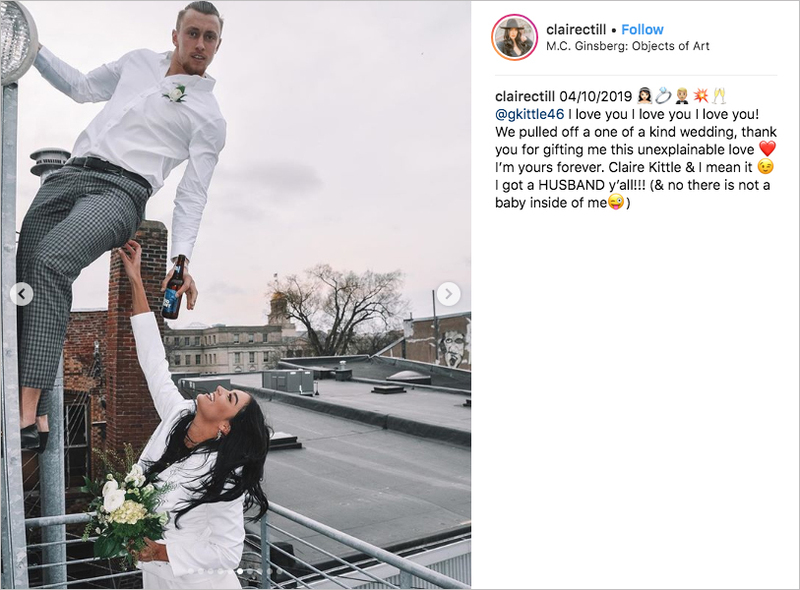 Take a look at both the romantic and fun-loving photos below! 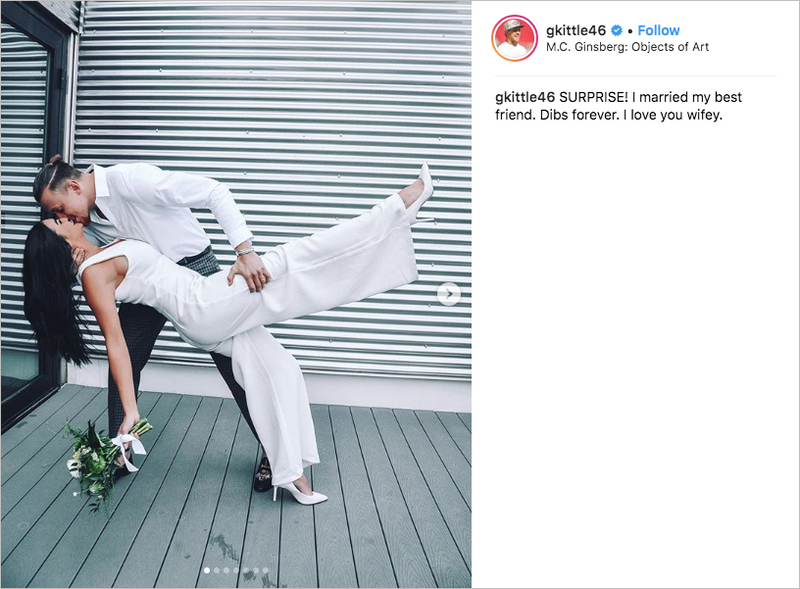 For more inspiration, see details from the weddings of other NFL players: Brian Winters of the New York Jets, Levine Toilolo of the Detroit Lions, and Brandon McManus of the Detroit Lions.